Sara is currently updating her web site! A new and improved web site will be launch in April. It will offer information on her younger and teen fiction. Please click here if you are looking for Sara's Magic Trix series. The first two books of Sara's new series for younger readers are available now! Sara's Next Teen Book Revealed! 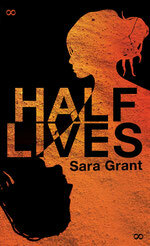 Sara's next book HALF LIVES -- an apocalyptic thriller -- will be published in May 2013 in the UK on Orion's Indigo list and in July 2013 by Little, Brown in the US. 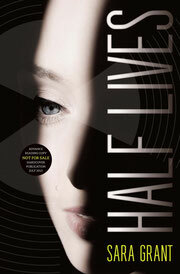 HALF LIVES is two linked futuristic tales about the nature of faith and the power of miscommunication. Sara is taking part in the NEXT BIG THING blog tour. Find out more details about her upcoming book -- including the inspiration behind the novel , her dream review and movie cast list -- here. 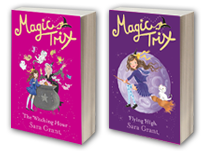 Sara also has a series for younger readers called MAGIC TRIX -- which will be published by Orion Children's books in March 2013. It's the story of ten-year-old Trixibelle who discovers she has the gift of magic and begins to train to be a fairy godmother. The series follows Trix, her familiar Jinx, Lulu the Librarian and her best friend Holly as Trix's first attempts at magic go horribly and hysterically wrong. Find out more by visiting the MAGIC TRIX web site. Sara writes dark, edgy dystopian fiction for young adults. 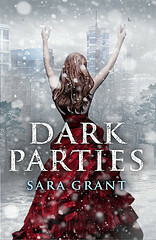 Learn more about her debut novel Dark Parties (titled NEVA in Germany). 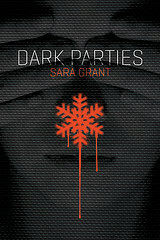 Buy a copy of Dark Parties. Book a school, library or Skype visit with Sara. Get news on Sara and her book -- including exciting new videos! Download discussion questions for book groups. Find answers to a few frequently asked -- and a few fun -- questions. Read Sara's guest blogs and Q&As from various book-related web sites. Visit The Edge -- Sara's shared blog with other edgy teen fiction writers. Listen to the Dark Parties playlist. Tell her what you think! 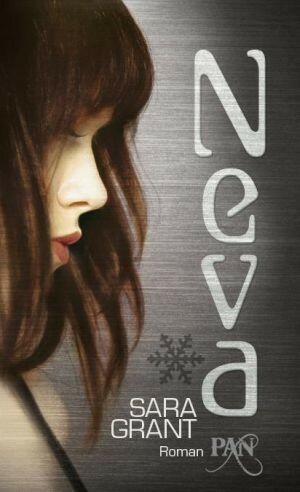 Watch the German book trailer for DARK PARTIES/NEVA. Sara’s a member of the Children’s Writers and Illustrators in South London. CWISL is dedicated to promoting good children’s books and their authors and illustrators. It has developed Shout About!, an online magazine to inspire and publish young writers and artists. If you are a writer or illustrator under the age of sixteen, check out Shout About! and submit your work!